It's so very fun when our little guy starts to enjoy the things that Josh and I enjoy. 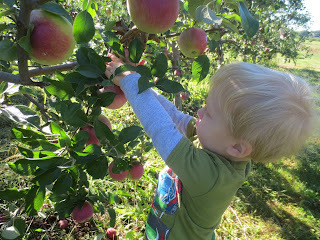 We try to go to the orchard once every week or two during apple season. Fresh-baked apple and peach desserts are so much fun, we love getting cider donuts from the shop, and very little can beat a juicy peach straight off the tree! Our son totally gets it this year. 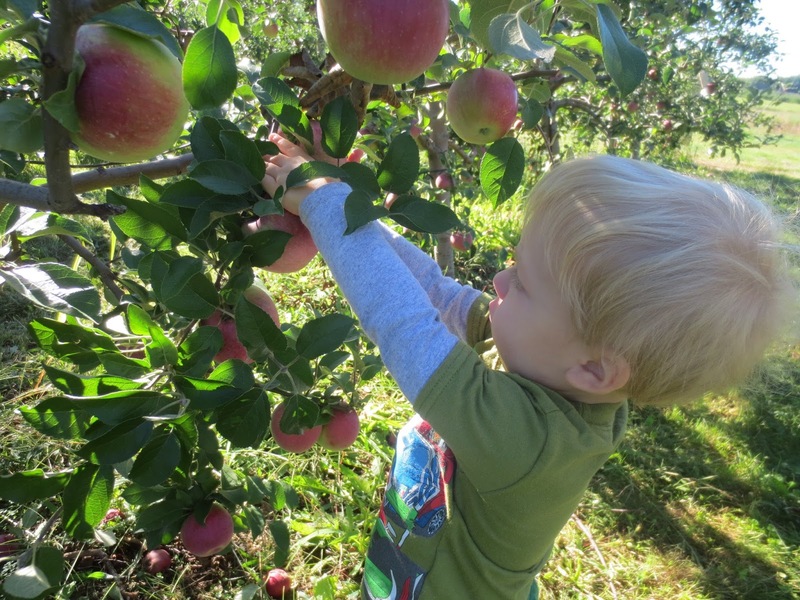 He goes up to the trees and picks his apple/peach, and then disappears into his own little world, enjoying the sweet juicy goodness of fresh fruit. We have to watch him because he definitely does not understand how to pick a piece that is ripe and not rotten! I treasure our fall tradition. It is so much fun that A is starting to love it now, too. I'm very excited to share these fun family times with our foster babies. Whether it's a moment that we'll cherish for years as a memory of children in our forever family, or just a little memory to send back with them when they return to a home that has healed and repaired in preparation to receive them back, I am eager to include them in this special part of what makes us family!